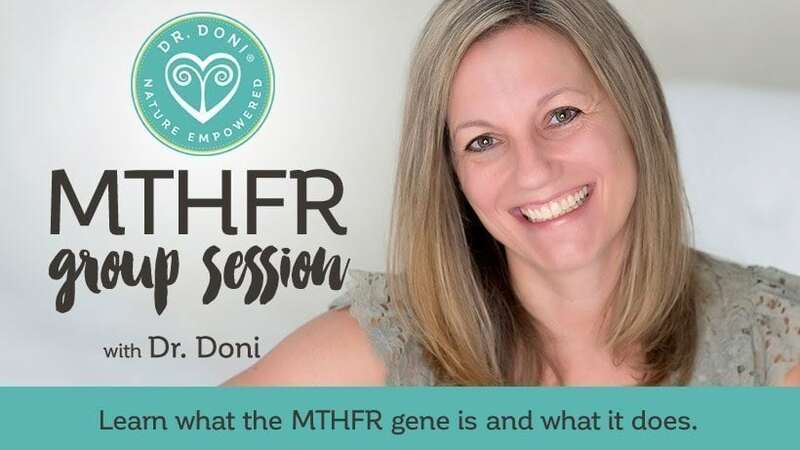 Dr. Doni Wilson discusses the importance of addressing methylation, nutrient deficiencies, neurotransmitters & other genetic mutations, when treating MTHFR. People often come to me confused because they have been told they have an MTHFR SNP (mutation), but they haven’t been told what to do about it. Some start to take methyl-folate, as is commonly prescribed, and they feel better – but others feel worse. Some get headaches; others might feel more anxious or have muscle cramps. They realize that doing nothing is not a good option, but they’re unsure what is. I hear from people who have had miscarriages, anxiety, insomnia, fatigue, autoimmunity issues, and/or memory loss, and wonder if their health issues are related to having an MTHFR SNP. To me, the answer is yes, quite possibly MTHFR is related – and we can use information about MTHFR, genetics, and methylation to help our bodies function optimally, because everything within our bodies is interconnected. The fact is that MTHFR is not widely known amongst practitioners. And those who are aware may not have extensive training in how to address it effectively. That’s why you may have simply been told to take folate supplements. * But applying a holistic strategy creates so much more potential to feel better. I conducted a Facebook Live session on December 21 on this topic. If you want to tune into the next session, please “Like” my page: https://facebook.com/drdoniwilson. NOTE: Please excuse some distortion in the video image – it is not a problem with your player. The audio should be clear throughout though. Briefly, MTHFR is the gene AND the enzyme that turns folic acid into folate. The body then turns folate and B12 into SAM (S-adenosylmethionine); this is a key part of a process known as methylation, which is essential to daily physical functioning. That’s why practitioners often prescribe methyl-folate if you have an MTHFR mutation. But before putting more folate into the methylation cycle, we first need to look at other things that may be blocking methylation. Otherwise, we’ll just be adding folate to a stuck process, which can lead to undesired symptoms. It would be like turning on a faucet when the drain is clogged. First, we need to unclog the drain, or the water will overflow. Addressing methylation blocks has been the focus of my last few articles. So, you can read more about each of these blocks by clicking on one of the above links. If you are deficient in any nutrient co-factors, and you then start taking folate, it will just sit there and wait until enough of the co-factor nutrient is present for the process to continue. If the folate builds up, it not only doesn’t make you feel better, but can be diverted to a different metabolic process (discussed later) and make you feel worse. Where it shows up symptomatically depends on your unique genetic and biological makeup. It’s easy to find out your current nutrient levels. In standard blood work, we can check electrolytes, iron (ferritin), and magnesium (best to order RBC magnesium). Specialty labs can also provide a more detailed analysis of nutrient levels INSIDE your cells, so we know exactly what you need to start feeling better. As we increase methylation activity, this has a knock-on effect on other metabolic pathways. And if a person has a genetic mutation in (or a nutrient deficiency impacting on) one of those other pathways, simply taking methyl-folate could make them feel worse. Here is where it pays off to work backwards! If we take the time to address and clear up the downstream pathways first, methylation gets easier and the risk of negative symptoms caused by methyl-folate supplementation decreases. Histamine (Genes: DAO, NAT and HNMT). These genes can give you a tendency to have allergic reactions or hives, as they influence how your body gets rid of histamine. If that is an issue for you, and you start taking folate, the folate could exacerbate the hives. In some cases, it takes months of work to address histamine issues before a person is ready to add methyl-folate. Sulfur (Genes: SULT, SUOX, GSH). As a part of the methylation cycle, our bodies use the enzyme homocysteine to make glutathione, a major anti-oxidant. These genes influence glutathione production, as well as how your body processes sulfur. If your body isn’t processing sulfur well, you may end up with a build-up of sulfur, which can cause headaches and flushes. If you take folate on top of this, the methylation cycle will create more sulfur, and make you feel worse. Nitric oxide (Gene: NO). Like the other SNPs, the NO gene impairs the body’s ability to process nitric oxide. Adding folate can result in your body creating too much (uncoupled) nitric oxide. Hydroxo-B12 is sometimes used to help this, but I am hesitant to advise you to “self-medicate,” as the chemistry of the body is very complex. It is better to work with a naturopathic doctor, or a practitioner with a strong background in biochemistry. Last but not least, neurotransmitters, such as serotonin and dopamine, are also affected by methylation. If neurotransmitter processing within your body is compromised by genetic SNPs and/or nutrient deficiencies, folate supplementation may lead to negative symptoms – anxiety and fatigue being the most common. So before adding in folate, it is important to have your neurotransmitter levels tested and recalibrated. It is possible to test neurotransmitter levels with a specialty urine test, and then to use nutrients to bring those levels back into balance. Knowing your unique genetic SNPs can help you to anticipate the kind of support your neurotransmitters need. I hope you found this article useful and informative. If you know anyone else who might find it helpful, please feel free to share the article. And to make sure you don’t miss out on future articles, please sign up for my Weekly Wellness eNewsletter here. Along with it, I’ll send you a FREE eBook about recovering from adrenal distress. In my experience as a naturopathic doctor, I have found that we can reverse-engineer healthy methylation by addressing methylation blocks, providing nutrient co-factors, and addressing downstream pathways. I understand it is a lot to consider doing all this on your own – which is why I’m very excited to be putting together online classes to help you with the steps outlined in this article. This way, you can learn from home and implement strategies to improve your health, your mood, your sleep, and your fertility. To learn more about these classes see below, or click here. Best wishes for a healthy new year and new you! If you recently found out that you have an MTHFR mutation and you’d like to learn more about what that means and what is involved in my approach to optimizing methylation, you can take my MTHFR class right now because we have a recorded version available here. Or sign up for my next live online group session. I am also developing a six-part online course (to take place over three months) to guide you through my five-step approach to healthy methylation. Yes! I’m interested in a more extensive group online course on MTHFR!